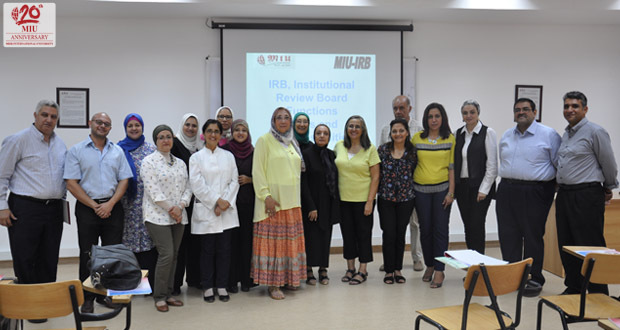 The IRB Committee at the Faculty of Oral and Dental Medicine in collaboration with The Staff Development Committee organized a workshop to address the functions, roles and responsibilities of the IRB as an essential part of valid scientific research. 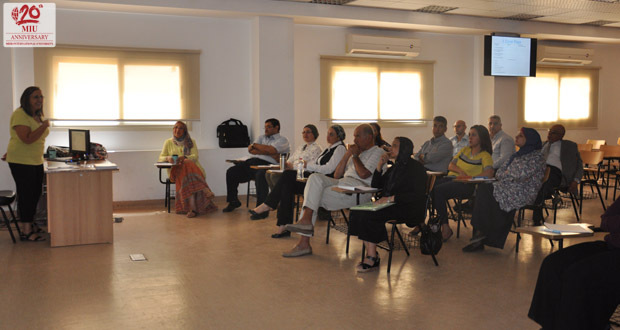 The workshop was conducted on 17th July, 2017 by Dr. Isabelle Nakhla– Senior Research Scientist at The U.S. Naval Medical Research Unit No. 3 (NAMRU-3) and consultant of the committee. 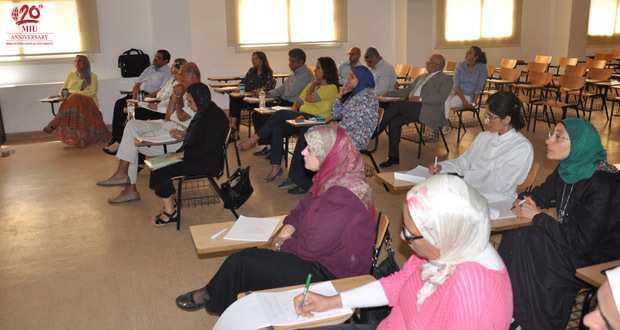 Staff members from all departments attended the workshop. The aim was to highlight the purposes and functions of the IRB committee as well as to spread the knowledge regarding protecting the rights and safety of all research topics and maintain institutional compliance with regulations. All participants were satisfied with the workshop; 93.3% rated it as excellent and very good and only 6.7% rated it as good Most of the comments recommended providing handouts and conducting similar workshops regularly.